I guess that’s the thing when I think about it. All those who contributed to the soundtrack of my life are slipping away, to be replaced by other artists making the sound track for other people’s lives. I ask myself, is it over? Not my life, really. I mean I would like to think I have some years ahead of me, but the years of my youth are behind me and the voices that framed those years with music and song are increasingly only to be found on recordings. It’s almost like my time on the stage is growing to an end. 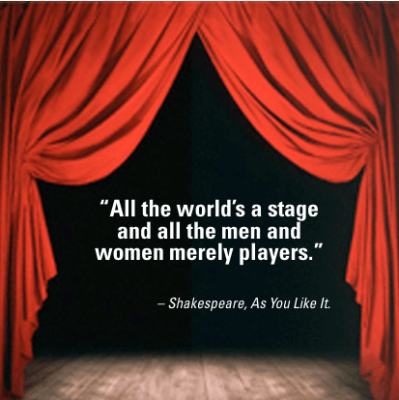 All the world’s indeed a stage and we are merely players. They have their exits and entrances. William Shakespeare said that, but so did RUSH in Limelight. So, the question remains. Is it over? Do I make myself content that whatever run I had was a good one, wait around until I am shuffled off stage? Or maybe, maybe just maybe keep the faith, draw strength from those ever diminishing voices from my past, put a song on and perform? In my own way?